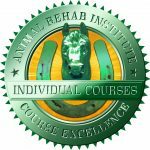 Some individual & certificate courses have restricted access please fill out the Course Approval Signup Form to ensure eligibility before purchasing the course. You must pass all course exams & submit a case study for review. Read More! This Certification program in Equine Kinesiology Taping is offered to : Veterinarians (including students in their final year of school) Animal Physical Therapists, Physical Therapists with education in equine anatomy, Veterinary Technicians & Physical Therapist Assistants that have completed the CERA Certificate program, Equine Chiropractors, Equine Osteopaths. 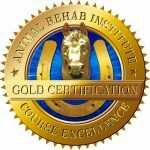 Certified Equine Massage Therapists that meet minimum requirements (Check with ARI for eligibility). Read More! Make sure you are eligible to take this certification before purchasing. 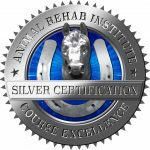 This certification course is open enrollment there are no prerequisites necessary to take this course only a love of the horse and a desire to learn! 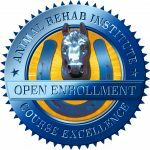 This program is a series of online lectures and a 5 day live lab practical session which provide the student with a solid foundation in equine anatomy, physiology, musculoskeletal palpation, conformation and postural assessment. Students will be introduced to the principals and theory of massage. Introduction to Swedish massage, sports massage, trigger points, stress point, and myofascial release techniques will be covered. There are short examinations after each online lecture 80% passing grade is required along with passing the practical examination to gain CEMT status. Read More!